AI isn't just for technology pioneers or academic organizations. The path to using advanced techniques like deep learning is realistic (and realizable) for businesses from the enterprise on down. 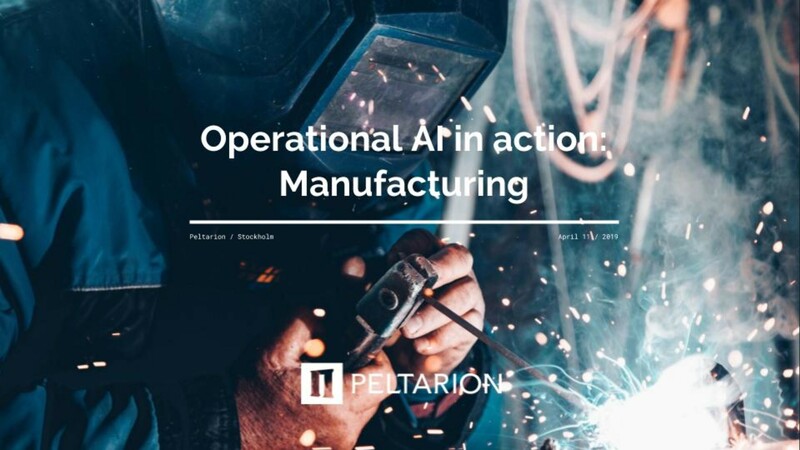 In manufacturing in particular, AI can be applied to customer-facing, support and internal systems — and can revolutionize predictive maintenance — right now. 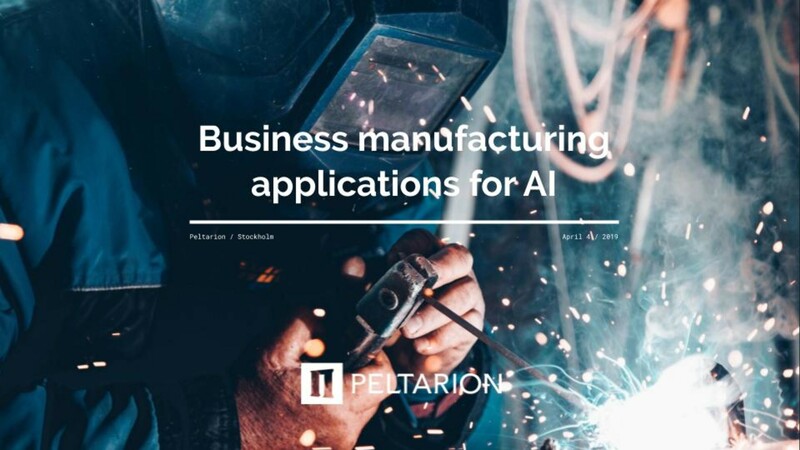 Led by AI experts at Peltarion and Futurice, these manufacturing-focused webinars will educate you on relevant AI use cases for the manufacturing industry and how to get your business enabled quickly to leverage deep learning. A thirty-minute discussion with Futurice to demystify AI and what it could mean to the various business areas of any manufacturing organization. We will also position machine learning and deep learning methods, cover some use cases in core manufacturing and support functions, and cover predictive maintenance in detail. Watch the video of the recorded webinar below. This one-hour, hands-on session will bring deep learning to life, using the solar industry as an example to explore how AI can be used for predictive maintenance. A Peltarion data science lead will present an end-to-end flow that runs through key data preprocessing, model build and evaluation, then discuss resources and assets and suggest next steps for your organization. Webinar 2: Hands on with deep learning and predictive maintenance.